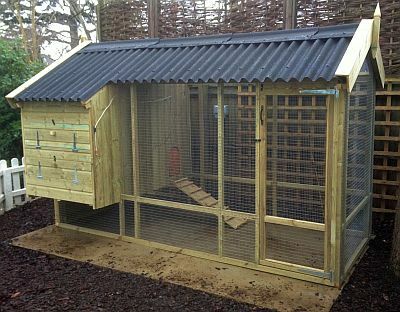 The 6 foot x 4 foot Holbrook with an onduline roof is shown in the photograph. 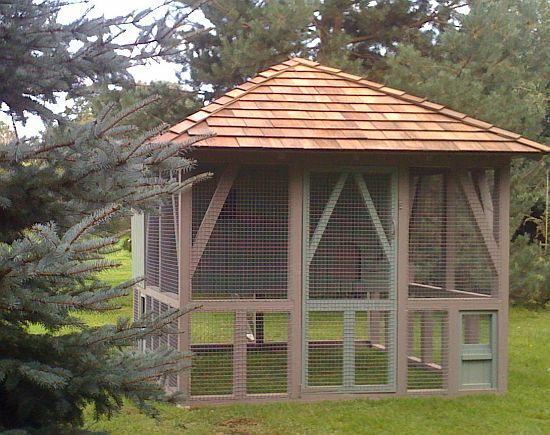 Features: This henhouse enables the birds to be seen clearly. 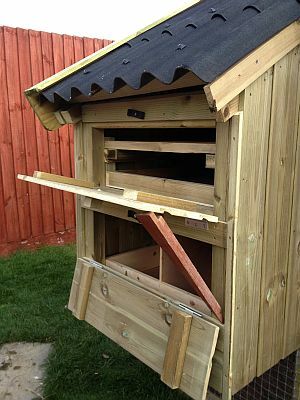 The Holbrook has a removable nest box for ease of cleaning. It has double-back doors for excellent access and no ledges to inhibit maintenance. 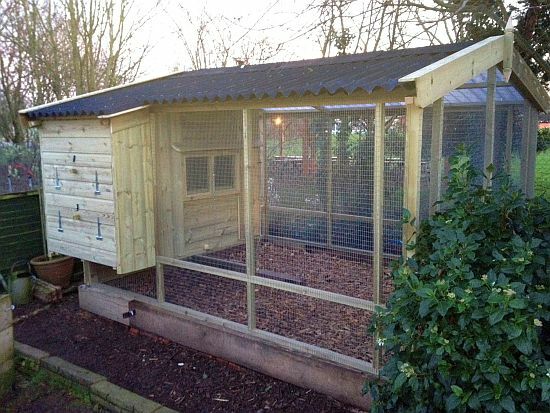 Its removable perch and ramp can be easily detached for thorough cleaning. 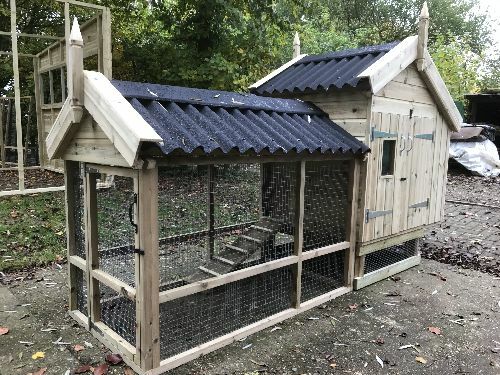 The standard versions are 5’ high to the apex of the ridge, there is a taller version which is high enough for a person to stand upright in the house. Only onduline roofs are now supplied. 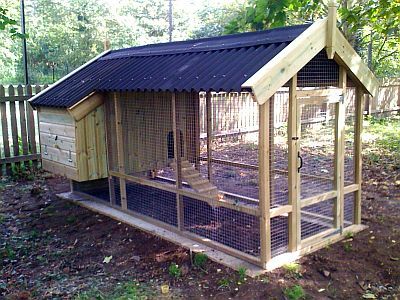 Supplied with a run, extended runs are available. 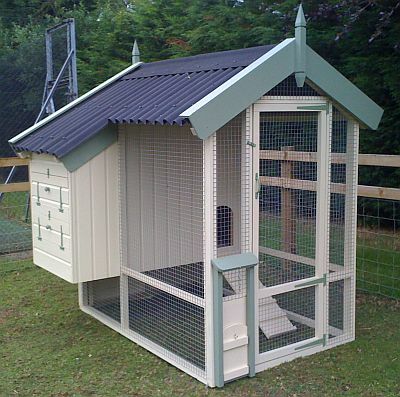 Can be purchased in their pressure-treated green colour or painted over the treated wood. The shelter in the three smaller houses is 2’ deep but the runs differ in length. 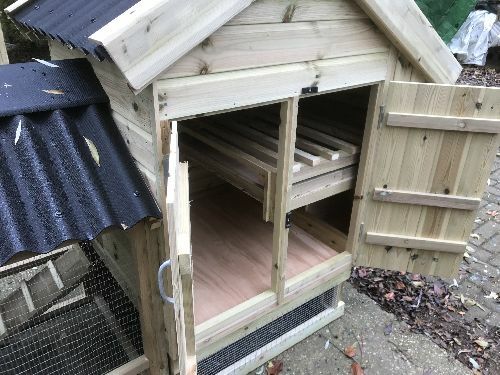 Chickens have access underneath the shelter. 8’x4’ extended to 10’ long. Standard height. 8’x4’ extended to 10’ long. Taller model. The customer wanted the door mounted on the front of the run. 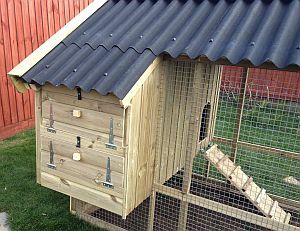 All models feature external nest box access and removable dropping board and perch (seen inside at the top). 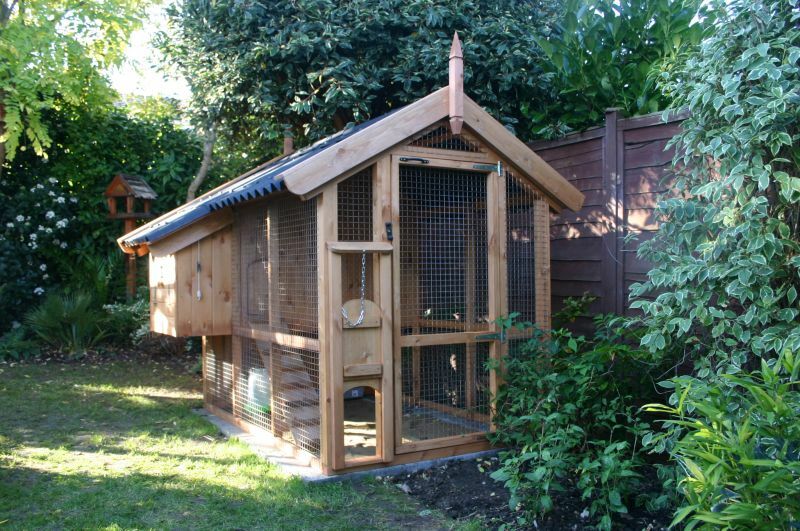 The nest boxes slide out the front of the house which greatly simplifies cleaning. An example of a 6’x4’ painted, taller model Holbrook. A special Holbrook, commissioned by a customer. 10’x8’ with all the normal Holbrook features. 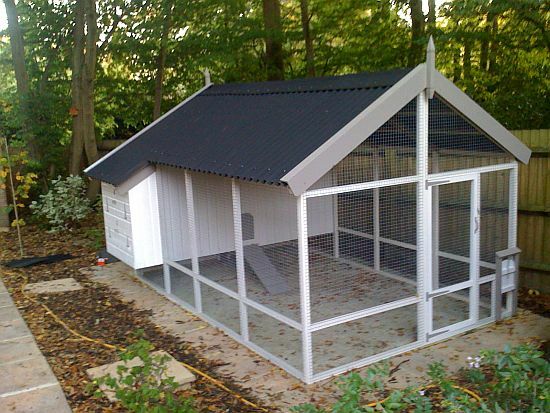 He requested a translucent roof on one side, which is just visible in the photograph. Another special design to meet a customer’s specific needs. 14’ long by 10’ wide and 3 metres in height. 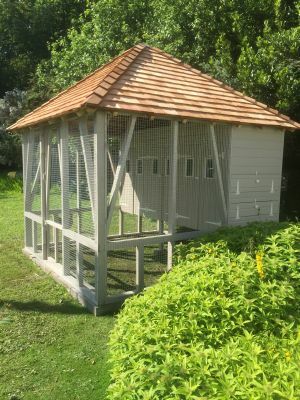 A commissioned hen house with a cedar shingle roof made in a very heavy style of construction.